Is there a reason sloths are always smiling? Yes! 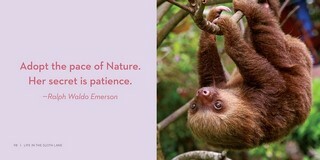 They’ve mastered the art of living slow in a world whose pace is making everyone crazy. Along with being the “it” animal – “sloths are the new kittens” (Washington Post) the sloth clearly has much to teach us about how to live. Combining the irresistible cuteness of sloths with words of wisdom about slowing down, Life in the Sloth Lane is a mindfulness book like no other. On spread after spread we see heart-tugging, full-colour images of sloths grown-ups and babies, both two-toed and three-toed, draped in trees, lying on hammocks, eating, hugging, nuzzling, playing – paired with inspiration on the joy of living slow, including quotes from Thoreau and Emily Dickinson, Paulo Coehlo and Elizabeth Gilbert. 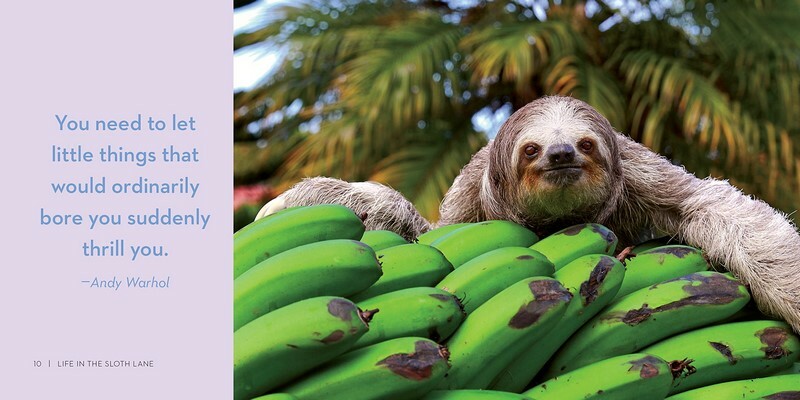 Written by Lucy Cooke, author of the sellout Sloths calendar and the "Steven Spielberg of sloth filmmaking" (The Atlantic), Life in the Sloth Lane is the perfect gift for anyone who wants to step out of the fast lane. Or – hint, hint – needs to. British filmmaker and zoologist Lucy Cooke has been called "the Steven Spielberg of sloth filmmaking" (The Atlantic). She is the woman behind Animal Planet's Too Cute! 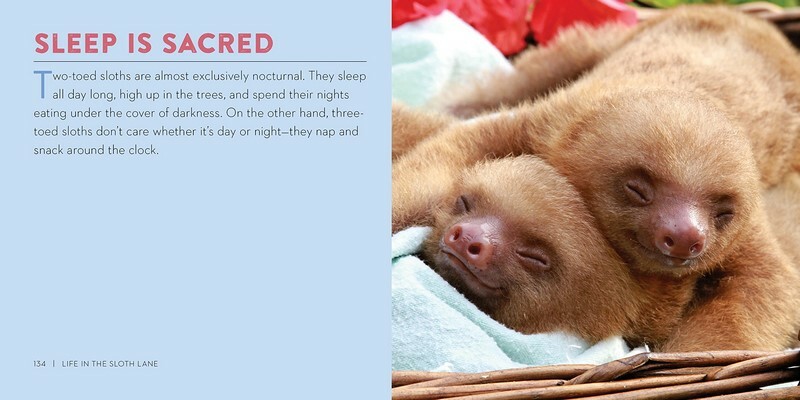 Baby Sloths, the author of New York Times bestseller A Little Book of Sloth, and the founder of the Sloth Appreciation Society. Sloths!!! One of my very favourite animals! I can't see a photograph of a sloth and not smile. I especially love three-toed sloths, those gorgeous creatures with perpetual smiles and great affection for eyeliner. I'm a huge fan of Lucy Cooke's previous book, A Little Book of Sloth, so when I found out she had another book coming out I was jumping up and down calling, "Pick me! Pick me!" 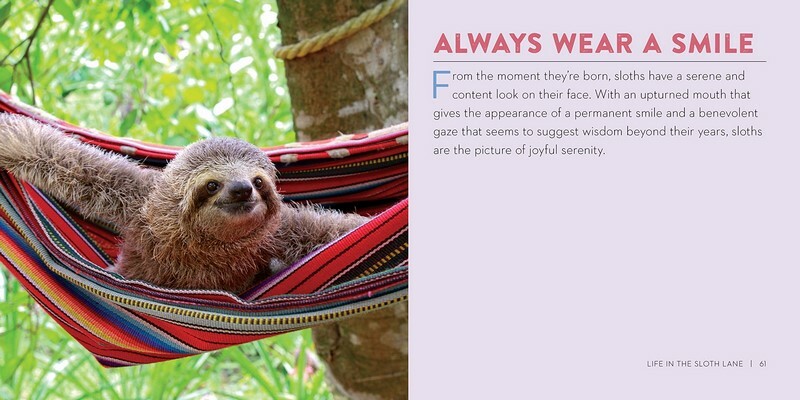 Filled with the most adorable photos of baby sloths, adult sloths, two-toed sloths, three-toed sloths, sloths hanging out in trees, sloths in buckets and hammocks, interesting information about sloths and peace inducing quotes, I loved Life in the Sloth Lane. 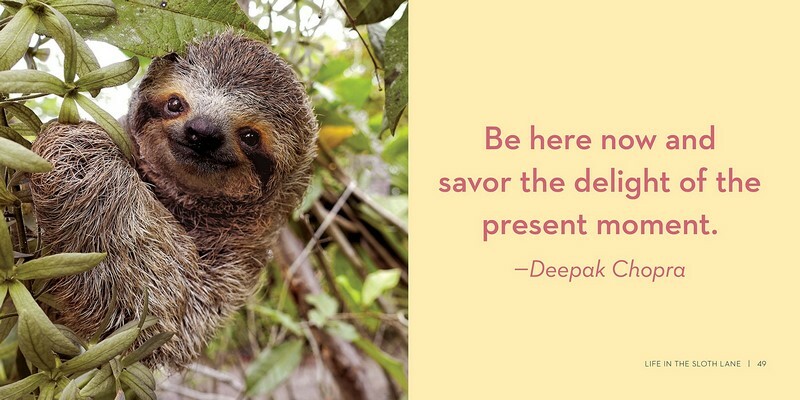 Sloths teach us many things, including: * Don't sweat the small stuff, or any stuff for that matter if you're a three-toed sloth and don't sweat at all. * The importance of rest. They rest about 70% of the day. Now that's the life! My favourite quote of the book is by Chade-Meng Tan: "Because inner peace and inner joy are independent of worldly circumstances, they are available to you anyplace and anytime." This would make a lovely gift book or coffee table book. Anyone who needs a smile should enjoy plenty while reading this book. I was ready to reach through the pages, pull out some sloths and give them all huge hugs, most likely while sitting in that super comfy looking hammock. Thank you so much to NetGalley and Workman Publishing Company for the opportunity to read this book.